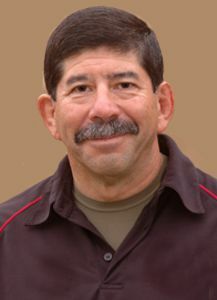 Lou Salseda grew up in the northeast area of Los Angeles. At the age of fourteen, Lou made the decision that one day he would enter the field of law enforcement. He believed that in order to be successful in such a challenge it would be necessary to have the right tools of the trade. After research into the field of martial arts, Louis Salseda joined Sensei Norman Leff’s Dojo. Sensei Leff taught Lou Tadamori Ryu Kenpo Ju Jutsu. The Ryu’s techniques are deadly, brutal and destructive and considered the most lethal form of ju jitsu. Lou studied with Sensei Leff for six years, gaining insight not only into the world of the physical element of self-defense, but also the discipline, dedication and benefits of physical prowess gained from this study. In 1973, Lou Salseda entered the prestigious LAPD Academy for recruit officer training. The ju jitsu training under Sensei Leff that preceded Lou’s Academy training set him apart from the other recruit trainees. Lou naturally excelled in the self-defense training and was especially adept at controlling and subduing larger and seemingly stronger opponents. His martial arts skills were recognized and respected by the Academy self-defense training staff. Lou Salseda, already an expert marksman from Academy training, sought a way to further improve his marksmanship skills. He believed that the use of a firearm was in itself a martial art (Ho Jitsu), a discipline to be revered and incorporated as a way of life. During the mid 70’s Lou Salseda studied under Master Takayuki Soke Kubota, 10th Dan Gosoku-Ryu and a Martial Arts Hall of Fame recipient at his Hollywood Dojo on Sunset Blvd. This Dojo was a few blocks from the Hollywood Police Station where Lou was assigned for several years. In the early 1990’s Lou Salseda met Sensei Ken Penland a Shorin Ryu Ju Jitsu and Shorin Ryu Matsumura Kenpo Karate Master who was a civilian employee of the Los Angeles Police Department. Sensei Penland was a member of an elite cadre of martial artist assembled to develop a new system of defensive tactics for LAPD officers. They developed a friendship and Lou began training with Sensei Penland at the Police Academy. Sensei Penland was incredibly knowledgeable in countless weapons forms and a Master Ju Jitsu practitioner. Several other master martial artists joined their training sessions to exchange techniques and cross train in other arts. However, Sensei Penland’s extensive amount of martial arts training experience was the cornerstone of this informal group of Black Belts. In 1993, while attending a Budo Clinic with other Black Belts from the LAPD Dojo, Lou Salseda met the legendary Brazilian Machado brothers Jean Jacques and John. Lou was intrigued by the jiu jitsu methods used by these brothers to control and submit their opponents. The desire to further explore this new style of jiu jitsu was overwhelming for Lou. He began training at a local Machado Dojo to test his ground fighting skills and found there was much to learn. His training steadily increased from one day a week to three, then four, and then five. Lou endured many minor injures along the way but found the training intensely rewarding in many ways. He obtained a Black Belt from Jean Jacques Machado in June of 2001. In 2003 Lou Salseda established a consultant business and formed a limited liability company for related services. In the past he routinely provided his self-defense expertise to the law enforcement community and had developed specific techniques to enhance an officer’s survival. Lou now has made his skills and expertise available outside of the police community. Lou’s “Tactical Grappling System”, using Brazilian jiu jitsu techniques as a foundation, was previously available exclusively only to law enforcement personnel. He has now made this system available to non-law enforcement men and women for street survival, sport or physical conditioning. He is available for private and group training as well as consultation on a limited basis. Currently Lou Salseda is TAC-1 director of training. The comapny was created by law enforcement officers and martial artists and TAC-1: Tactical Advanced Combat offers current and complete defensive firearms training to the public. Sensei Norman Leff studied ju jitsu during the 1960s in Columbia, South America with a former Royal Japanese Marine. 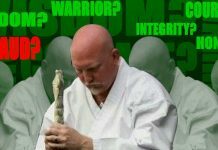 Norman Leff now has over 40 years of ju jitsu instruction and is the Menkyo Kaiden Shidan (leader/master) of The Pasadena Academy of Self-Defense. Master Tukayuki Soke Kubota opened his first dojo in Tokyo when he was 18 years old and has taught law enforcement officers for over 35 years. He is highly skilled in combat Karate, Judo, Aikido, Kenpo and Iaido. He has produced numerous training videos and was the creator of the Ku-Baton, a five-inch plastic dowel, used for self-defense and subduing techniques. Bill Jordan – U.S. Boarder Patrol Legend – No Second Place Winners. 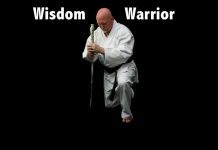 Sensei Kenneth Lyle Penland, has over 50 years of Karate, Judo, Ju Jitsu training. He first learned martial arts from his father, then in 1962 he studied Kenpo Karate under Ed Parker and studied Judo/Ju Jitsu under Harley Regan. In the 1970’s Sensei Penland trained under Grand Master Fusei Kise in Kenshinkan Shorin Ryu Karate and Kobudo. He is currently a Branch Director for Shorin Ryu Matsumura Kenpo Karate. He is ranked as 8th Dan in Shorinji Ryu Ju Jitsu and 7th Dan in Karate and Okinawan Karate Kobudo. 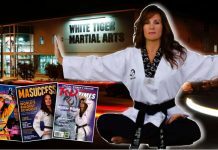 Sensei Penland founded the Los Angeles Police Department’s Aiki Ju Jitsu Dojo and is the Chief Instructor. He has also completed extensive research and authored numerous articles on the martial arts. Jean Jacques Machado is a 6th Dan in Brazilian Jiu Jitsu and is one of the five Machado brothers who migrated to the United States in the 1990s along with their cousins, the Gracies. Jean Jacques bought with him an unprecedented history of Brazilian Jiu Jitsu championships and soon established himself in the U. S. as one of the top grapplers. He went on to several impressive wins at the world grappling tournament, Abu Dhabi Combat Club.